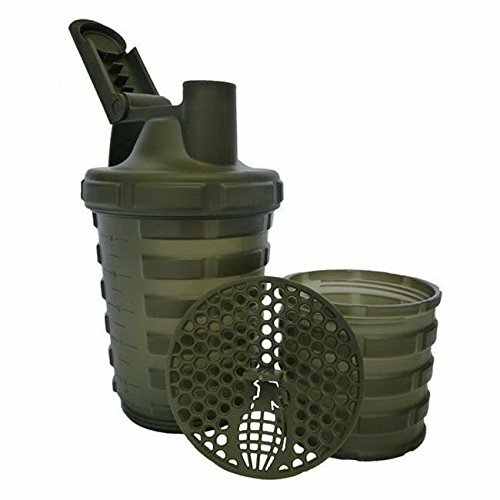 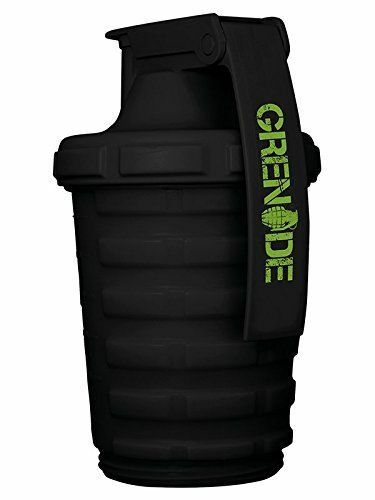 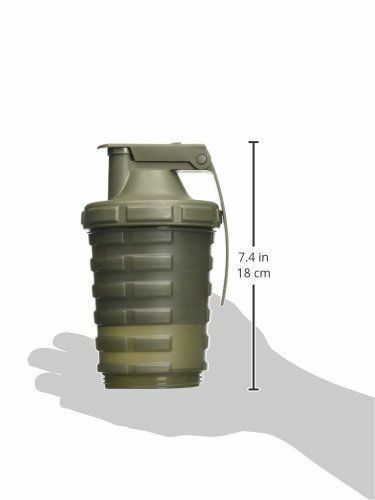 This is a very unique Grenade brand sports/shaker bottle, perfect for protein powder, pre-workouts, creatine, and other powdered beverages. 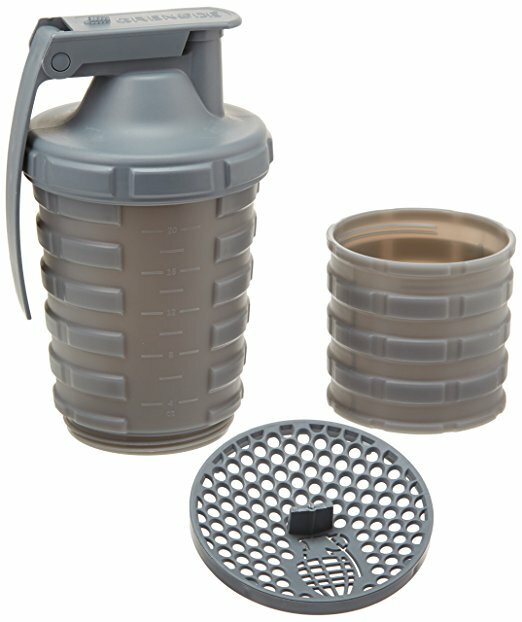 These are microwave, dishwasher, and freezer safe, with a separate and detachable storage compartment for powders (e.g. 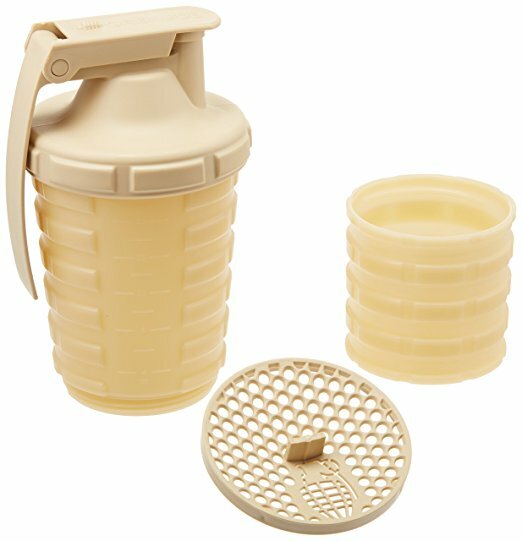 protein after your workout). 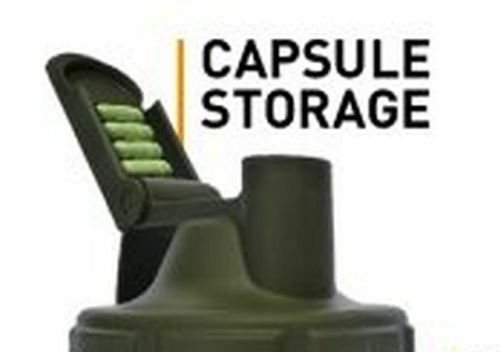 It even has a convenient capsule storage section in the cap. 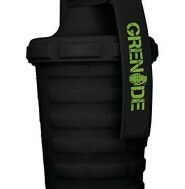 - expandable from one to two compartments for a total of 20 oz.